How Can Healthcare Facilities Face Water Issues? 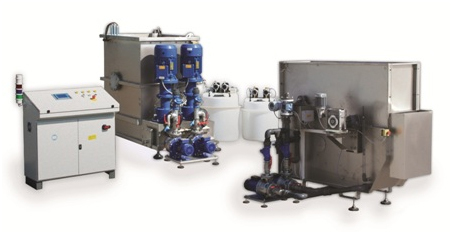 The Italian company is ready to launch a new technology for the reuse of sewage waste water and offers a wide range of possibilities thanks to customised products. The United Nations considers water a global issue. That’s why, in July 2010, its General Assembly recognised the human right to water and sanitation. As cited by the international institution among the ‘water-related challenges’, and also underlined by UNESCO in 2017, “80 per cent of wastewater flows back into the ecosystem without being treated or reused” *. Newster Group, the over 20-year experienced Italian based company offering top solutions for the management and disposal of healthcare waste, is playing with great determination a small but crucial part in the fight against this issue. One of the first contributions was the development of the Safe Water Treatment system, which allows infectious sewage water coming from healthcare facilities to be disinfected and become innocuous. The water can be consequentially released with no risk of bacterial contamination. The list of healthcare facilities that choose this technology includes the Pediatric Clinic Disease Hospital of Minsk, in Belarus, with more than 20,000 patients up to 17 years of age hospitalised yearly. Financed by the Ministry of Health of the country, this Safe Water Treatment (SWT) plant treats 20 cubic meters of waste water per hour, with a peak of 25 cubic meters. This technology, which is ideal for small hospitals located far from urban areas that lack a proper connection to sewage systems and urban water treatment plants, will soon be followed by a new step that not only makes the water safe, but also reusable for irrigation. Thanks to a system called SWT RECO3VERY, the sewage waste water coming from healthcare facilities will be processed to a level that allows its use for irrigation. In other words, the output water could be used for the watering of gardens and plants. The positives involve many levels: the water is safer, the biological risks are removed, the hospitals have a financial plus because they don’t pay for the water used for irrigation and may meet the requirements of legislations that recognise the value of eco-sustainable and secure facilities, turning that into benefits like economic incentives for eco-friendly structures. SWT RECO3VERY is a consequence of the efforts, analysis and intuitions of Newster Group’s Research and Development Department, which combined elements from two previous products adopting parts and processes that are patented in more than 30 countries, including the United States. Technologies from the Safe Water Treatment (SWT) and the PURALAB 4.0, which was developed for the treatment and neutralisation of laboratory fluid waste like colorants and blood, are now brought to the next level with the adoption of a solution that in 2019 would be involved in a pilot project in partnership with a hospital in South Asia, which employs 375 people per day, with 350 beds and hi-biological risk levels due to tuberculosis patients. 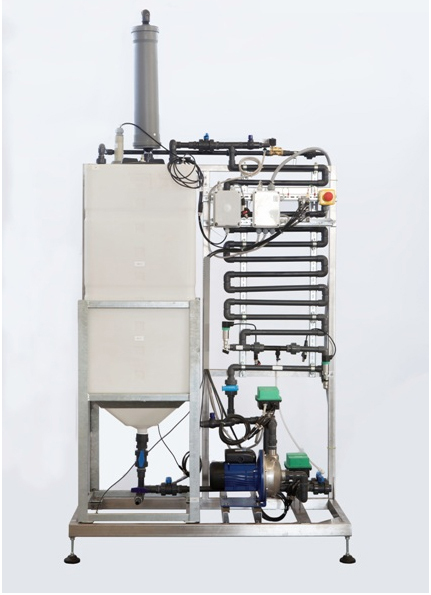 The system can treat 250 cubic meters of sewage waste water per day, which is then released with no risk of bacterial contamination. It can also treat 40 cubic meters for irrigation. The researches involving SWT RECO3VERY and PURALAB 4.0’s technologies are carried with the support of academic institutions such as the University of Modena and Reggio Emilia, which contributes with the work of a team of advanced and recognised knowledge: “Our Department of Engineering ‘Enzo Ferrari’ has twenty years of experience in the waste treatments and has been recently involved by Newster Group in new and strategic products and processes”, says professor Cristina Leonelli. “One of the missions of our research groups is the collaboration with industries capable of developing innovative technologies in respect of the environment. The necessity of a partnership between companies and universities is crucial when frontier technologies are implemented”. Supported and gratified by universities, and at the same time involved in activities that in the last 20 years interested nearly 500 hospitals in over 35 countries covering all the continents, Newster Group is now facing another challenge: a key change in the approach towards the needs of its customers, in order to adapt its technologies to a wide range of cases. After in-depth analysis and the consideration of elements brought by a clear knowledge of the medical environment given by working at top-level with worldwide partners, from 2019 Newster Group will direct its know-how to the design of systems and plants with a hi-level of customization. Its products, which include also a list of sterilizers known as the NW Series that treat potentially infectious solid waste such as syringes and catheters, will consequently adapt to hospitals with different characteristics, size and needs. A new mind-set that will bring more flexibility, the constant search for advanced technologies and a great sense of responsibility towards the problems of the planet lead Newster Group in a new phase. SWT RECO3VERY and PURALAB 4.0 open the way to a new range of products that will ensure to healthcare facilities safer, easier, faster and economical solutions to their issues. This will add to the evolution that brought the Italian company to a tight relationship with its partners and customers, possible thanks to the capacity of manufacturing and marketing certified patented systems offering ecological answers to resolve problems related to hospital hygiene with a range of on-site products that are able to satisfy all sanitary needs for waste disposal. 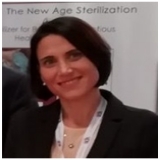 Elisa Benedettini has a Master in medical Biotechnologies at Bologna University and a PhD in Molecular Medicine at the University of Milan in 2010, followed by a Master in Molecular Cell Biology in 2011 and a Specialisation in Clinical Pathology in 2013. Dr Benedettini also was a research fellow at the Dana Farber Cancer institute at Harvard University. Currently Head of the scientific department at the R&D Department of Newster Group. High Knowledge in the Biology Field. High Knowledge of treatment of laboratory fluid waste. 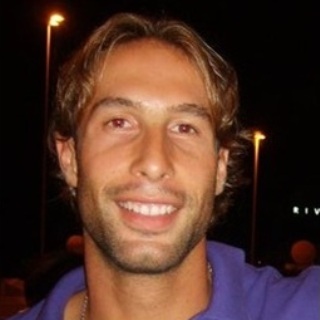 In July 2009 Gianluca Magrini graduated in Environmental Sciences at the University of Urbino (Italy). In February 2013, he graduated in Environmental Sustainability at the Polytechnic University of Ancona (Italy). Currently Product Development Specialist at the R&D Department of the Newster Group. High knowledge of the treatment and sterilization of hospital waste, solids and liquids. High knowledge of the ozone application in zero-energy laundry, civil or industrial waste water plants and ozone-based disinfection systems.